Let me preface this review by being up front and let you know that I am biased towards Garmin. I have used many different manufactures GPS units in airplanes and on the road and I have found no brand that I prefer over Garmin. 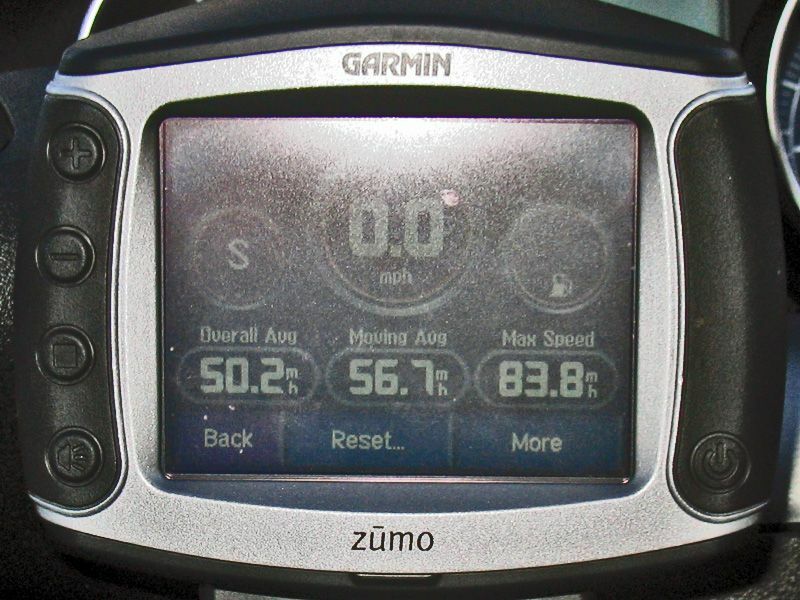 The Zumo 550 is an awesome unit and Garmin has made it so simple to use even with gloves on. With the large buttons, large text and bright screen it is so easy to make changes while driving down the road. The box has most everything you will need to mount the unit and more. This unit can be found for a street price of around $750. The above photo is the contents of the box. From left to right top to bottom here is what they are. - Black top and bottom replacement caps for the GPS. You can also buy other colors. On the Vespa GTS250 I had to also get a RAM-B-231ZU and a RAP-319 to mount it to my mirror. These can be bought at GPSCITY for less than $20 delivered. http://www.gpscity.com/item-ram-mount-zinc-coated-rail-u-bolt-base-with-1''-ball/ramb231zinc.htm This would be the same mounting for a Vespa LX or GT200 as well. On both scooters I ran the power cable down to a switched battery source so that the GPS automatically turns off and on when I turn on and off the scooter. To make life simpler, I did buy a second motorcycle mounting plate & motorcycle power cable from Garmin so that it is easy to move from one scooter to the other. 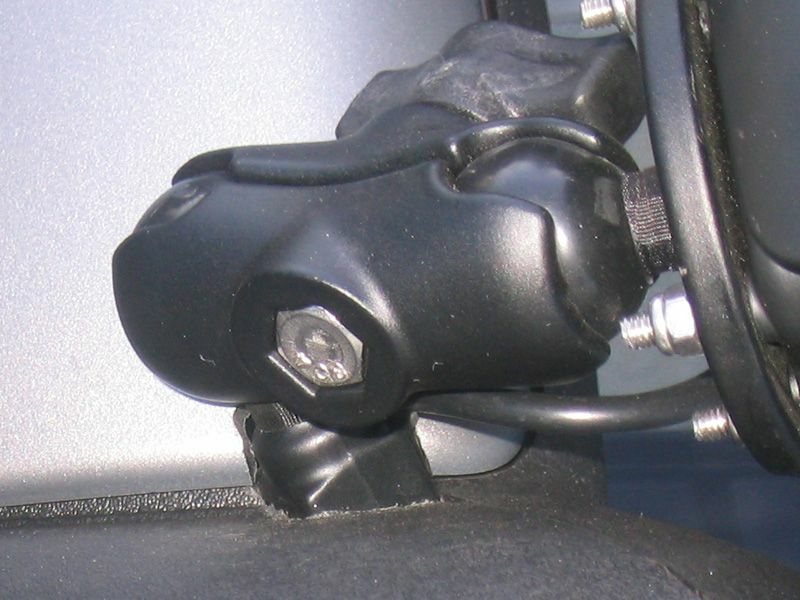 The Motorcycle Mount is awesome, it allows easy install and removal of the GPS without having to plug and unplug wires. They do provide you with a special screwdriver to lock the GPS into the mount but that is a waste as a thief could just as easily undo the ram mount thumb screw with only 5 seconds extra work. The Bright Screen â€“ this is the easiest screen to read in sunlight that I have ever seen on any GPS. Text to Voice â€“ the voice prompts are very clear and the street name pronunciation is the best of any GPS I have heard. Built in Data â€“ Only if I go to Europe do I need to add maps to this GPS as North America is built in. 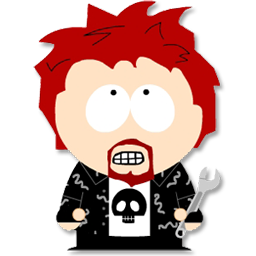 Bluetooth â€“ I donâ€™t have to have a loud blaring speaker giving me my voice prompts, I just attach a Scala Rider to my current helmet and I hear the voice prompts inside the helmet. Bluetooth also works for my cell phone and yes, I have tried it at highway speeds and it works just fine but phone use isn't a high requirement or need on my want list. The way the phone works is the phone talks to the GPS and the GPS talks to the headset. By doing this, I answer and make calls with the GPS; the complete contact list in my phone is displayed on the GPS allowing me to search my contact list with the GPS. The connectivity between the Phone and GPS has a lot more bells and whistles that I have yet to explore. XM Radio â€“ with the addition of an XM Antenna (picture bellow) you can have XM Radio inside your helmet (cable required between GPS and helmet) or with the car mount. 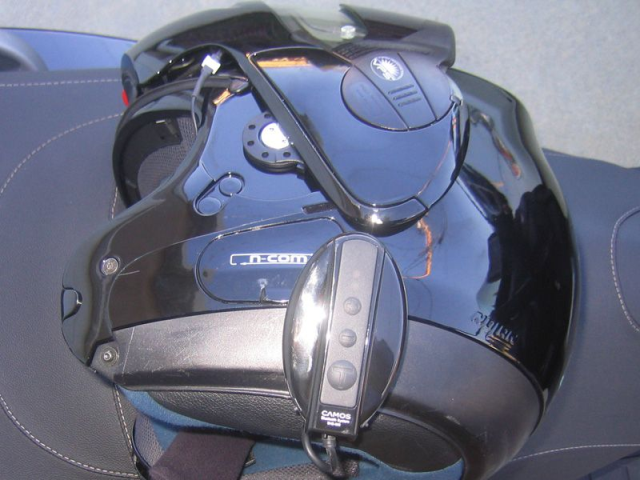 I have played with the XM Radio using the car mount but Iâ€™m waiting for either a new device for my current helmet or to buy a Nolan helmet to be able to listen to the music on the scooter. The XM antenna is an option that will cost around $200 plus monthly fees. Info on the screen â€“ In other Garminâ€™s that I have used you can change the data fields that are displayed on the screen. With this unit there is no customization available. I personally like to know my elevation and distance to destination of which neither is available to me. You are given Estimated Time of Arrival but not distance to travel. You are also given the distance to the next turn. The data that is available is shown in the following 2 images. I used my garmin to find your place and I never used a map just the GPS my entire time in Hawaii. I highly encourage buying a GPS instead of maps. Thanks. Not that i can get too lost here on an island. Head towards the ocean on a street that starts with a K and i should be where i want. They do provide you with a special screwdriver to lock the GPS into the mount but that is a waste as a thief could just as easily undo the ram mount thumb screw with only 5 seconds extra work. You can also just remove the knob and replace it with a TORX or Security TORX screw of the appropriate length. That should be reasonably secure for most situations. Great find Jess, but I'm also moving mine between bikes so I'm not gona lock it on. This would be good for those not moving their GPS around between bikes. I still wouldn't leave my GPS on my scooter outside overnight even with all the locks on. Garmin also proves an electronic lock that doesn't allow you to turn on the GPS without a pin code (I do use this option). I still wouldn't leave my GPS on my scooter outside overnight even with all the locks on. Agreed. It would mostly be useful when you want to stop for lunch and don't want to strip your bike of everything before you go inside, and re-mount everything when you come back out. In Part 2 I will provide some close up images of the latching system and it's lock. How flexible is it in coming up routes for different types of travel, ie no freeways, walking, cycling etc? I do want to get a GPS and at the moment this looks like the one to get for scootering. Of course I want it to serve other functions as well such as exploring unfamiliar cities on foot. I have seen some that have a walking option, I assume that means that things like oneway streets don't matter. I take it the 550 doesn't have this option -- I don't mind spending the money if it does what I want, but this sort of stuff has such a short lifespan at the top of the tech pile it's probably worth waiting to see what's next. I remember the money I spent on my first good digital camera! Seemed like it'd be good for a few years, boy does it seem slow now! Is there a "holder" to hold the GPS like this one? Sorry no walking mode but it will work in your hands for hours with it's included rechargable battery. If it's the same size and shape as the Nuvi 300/310/350/360 models, then Ram Mount does. Though, as Curt says, you need to plug the power adapter in separately. Have you wired the Garmin electrical connection to the Vespa? If so, please explain. I just received the Zumo for Christmas and I am eager to avoid the use of the battery. GT200 to Garmin Zumo 550. Hey Roger I was Born in Akron and still have relatives in the area including my dad. You can use the plug that is located behind the left black speaker looking panel that is right in front of your left knee. The plug to use is the one designed to power the alarm system. The large plug is for an alarm. white - 12 volts with ignition on. use the white and the black ones. On a resent trip to the Los Angels area and points in between. On the interstate I would punch in a city 2-4 hours down the road. Looking at the screen was kind of boring for long straght trips. On finding gas stations: the zuno did an excellent job of finding them off the freeway with plenty of notice. On finding resturants/fast food: From the freeway it did a bad job. it would only give you .5 miles notice and mostly the locations arrows were to the left, right or behind (maybe theres a setting to help that). On city streets it was acurate if the place was on a city street. On places in shopping centers it went nuts. You could see your distination in front of you but the zuno said to turn right, go a block or two, make a u-turn etc. On a day trip in Beverly Hills/Hollywood looking for stars homes the zuno was priceless. You just punch in the address and wala. With all the wacky left turns/right turns/forks in road it helped a bunch. Will report again once my Zuno is wired to scoot. Finding places along I5 is a problem with most all GPS's as they do not use their own database most all buy it from http://www.navteq.com/about/index.html and this is the company that doesn't have their act together as they are missing gas stations that have been around for more the 30 years. My Honda Ridgeline has the same problem as they too use NavTeq (like most all GPS manufacturers). There is a new download from Garmin for the Zumo. It has some cool new features. Also do not forget to visit and join Zumo Connect at the Garmin site. The ball mount comes up at the intersection of the light gray center cover and the seam between the forward and aft handlebar fairings. All three pieces of plastic need to “notched”, but if you do this operation slowly with a dermal you will get a very nice fit. This was the hardest part of the mounting operation because you to reassemble the fairings several times to mark where you will make your next cut. This is how it looks from the saddle. In my perfect world the Zumo should be about 1 inch lower or I suppose, I could have been 1 inch taller. As it stands the high beam indicator and the "tilt lock fail" indicator are obscured, all the critical warning light are visible. While the bottom portion of the speedometer is also partially obscured, I find the red paint used for the MPH indication to be unreadable during daylight hours, so I just use the big easy to read Zumo speedo. A sharp viewer will notice that the Zumo has been on this scooter since the scooter was practically new (Zumo odometer 2,035.6 miles, Mp3 odometer 2,154 miles) Also I use the B trip odometer as fuel range counter, which is about 6 tenths of miles less than the Zumo fuel range counter ( 29.2 vs 29.8 ) . This photo shows that I have spent 71 hours and 18 minutes atop my MP3 of those I have spent 8 hours and 8 minutes waiting for stop lights. This photo show my overall avg. speed to be 50.2 mph if one gets does not count the stop light time it goes up to 56.7 mph and it also show that I once with a strong tail wind, hit 83.8 mph. On flat land I struggle to get to 75. One last thing, the Zumo lets you listen to mp3 (music), audio books XM radio, and the Zumo gives oral directions all through Bluetooth. The Zumo also acts as in interface for Bluetooth enabled phones. That is if you get an incoming phone call, you can press a button on your Zumo (the accept call button comes up over the current dispaly) to take the call. One could also dial their phone using the Zumo and make an outgoing call. I use this Camos Bluetooth receiver to listen to my Zumo. In the picture you can see the wires that run to the microphone which is used both for the phone and an intercom. The sound quality can be describe as mediocre at best. Is it just me or did the picture not go though? Well I am not sure if I set the links up correctly, try right clicking on the little red x and then select show picture. I use this Camos Bluetooth receiver to listen to my Zumo. In the picture you can see the wires that run to the microphone which is used both for the phone and an intercom. The sound quality can be describe as mediocre at best. Maroy, I notice you have the Camos mounted to a Nolan N-Com helmet.Â Did you consider using the matching Nolan bluetooth or intercom?Â I've been contemplating different intercom solutions, and I'd be interested to hear your thoughts. I considered using the N-Com system but from what I could discern from the Nolan documentation I would have had to run a wire from my Zumo in order to listen to the Zumo audio streams. I can get about 30 feet away from my scooter and still listen to my audio material with the wireless solution, plus I don't have to worry about pulling the wire. Additionally, letting the Zumo manage the phone has several advantages, one being you don’t have to search the side of your helmet for the accept call button, it pops up on the Zumo when you get an incoming call. Additionally, letting the Zumo manage the phone has several advantages, one being you don’t have to search the side of your helmet for the accept call button, it pops up on the Zumo when you get an incoming call. I absolutely agree that using the Zumo for your phone interface is the way to go. I considered using the N-Com system but from what I could discern from the Nolan documentation I would have had to run a wire from my Zumo in order to listen to the Zumo audio streams. That seems like a too-literal reading of Nolan's chart. The Zumo's Bluetooth should pair just as readily with the N-Com as with the Camos (or any other Bluetooth helmet rig), shouldn't it? The Zumo's Bluetooth should pair just as readily with the N-Com as with the Camos (or any other Bluetooth helmet rig), shouldn't it? You could be right; I found trying to select the Bluetooth rig to be a most frustrating experience. One of the biggest reasons I went with the Camos system was that I was able to play with it in the store with my phone and Zumo. Lots of shops were willing to order the Nolan stuff for me but it was always the same story, e.g. it is a special order, no returns even if it does not do what you thought it would do. If you do go with the Nolan system I would love to hear how it works out for you. As I said earlier The Camos system has pretty poor quality sound reproduction. One benifit of using the wire with the Nolan system is that you may get real Stereo reproduction at the headphones ( I don't know for sure). It seems to me that all the Bluetooth systems I looked at sum the left and right channels before Bluetooth transmission. On decode you end up with a diotic display (Exactly the same audio signal to the left and right ear). I have a very nice pair of Creative Bluetooth Stereo headphones (no mic) which I use with my computer. The Zumo will pair with these headphones but that is it, no sound production at all. This makes be believe that Zumo does not support the Stereo Bluetooth protocol, for what it is worth. Anecdotally, that seems like more evidence that you may be correct in your assertion that the Zumo is just using the Bluetooth phone headset protocol and will pair with any headset that has that protocol. Does the Zumo support the avoid highway feature? 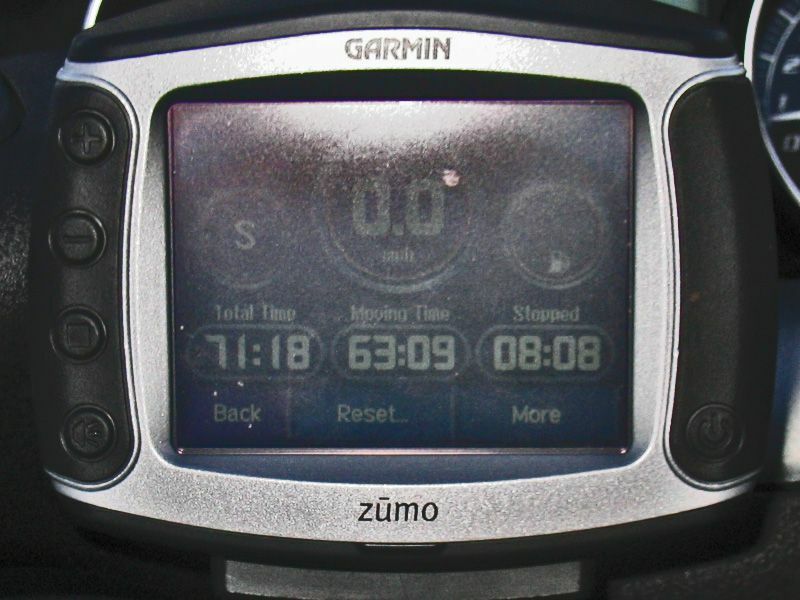 You can download Zumo manual from the Garmin Site for free if you like. I recommend getting the black one. 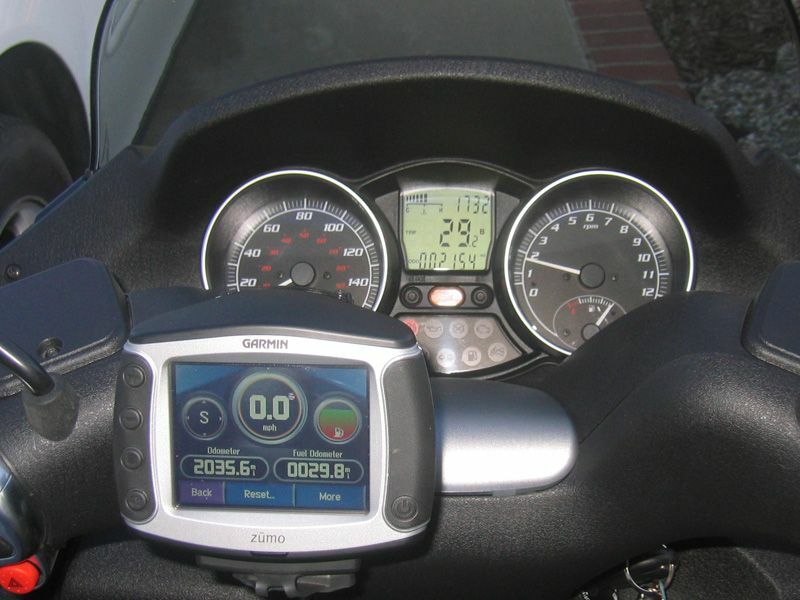 If you have a MP3 500 and a GIVI wind screen, Check out my Zumo install in the MP3 section of MV under "A550 on a 500".